OKLAHOMA CITY, OK. – The $100 million Remington Park, transformed into one of America’s top horseracing facilities, is the site of the 2014 Red Earth Festival schedule June 5-7 in northeast Oklahoma City’s Adventure District. OKLAHOMA CITY, OK. - The $100 million Remington Park, transformed into one of America&apos;s top horseracing facilities, is the site of the 2014 Red Earth Festival schedule June 5-7 in northeast Oklahoma City&apos;s Adventure District. Hundreds of American Indian artists, dancers, and performers will participate in the 28th annual event. Each year the Red Earth Festival draws thousands of people from throughout the nation who gather to celebrate the richness and diversity of Oklahoma&apos;s tribal cultures. Red Earth includes a juried art market featuring many of America&apos;s most celebrated artists, Native American dance, live music performances, children&apos;s activities and food booths. A jewelry fashion show and culinary demonstrations are new to the event schedule for 2014. "We couldn&apos;t be more pleased about conducting the Red Earth Festival at Remington Park," said Janet Dyke, board president of the non-profit Red Earth, Inc. "Our new venue is a beautiful property with exceptional landscaping and easy access from both I-35 and I-44. We will be able to provide our guests with 6,000 free parking spaces along with free valet parking." Global Gaming Solutions, a wholly owned subsidiary of the Chickasaw Nation, owns Remington Park. Since purchasing the park in 2010, Global Gaming Solutions and the Chickasaw Nation have spent more than $35 million to update and beautify the facility. The most recent addition to Remington Park is the 12-foot bronze monumental sculpture entitled "Chickasaw Rider on Horse" by acclaimed Seminole sculptor Enoch Kelly Haney. During the past 27 years Red Earth has grown into one of the most respected visual and performing arts events of its type - setting the standard for many of today&apos;s American Indian art shows held throughout the nation. USA TODAY has named the Red Earth Festival one of 10 Great Places to Celebrate American Indian Culture. The Festival has been named Oklahoma&apos;s Outstanding Event by the Oklahoma Tourism & Recreation Department, a Top 100 Event in North America by the American Bus Association, and Central Oklahoma&apos;s Outstanding Cultural Tourism Event by Frontier Country Marketing Association. To celebrate the Red Earth Festival, a parade featuring hundreds of entries will again fill the streets of downtown Oklahoma City. To celebrate the Red Earth Festival, a parade featuring hundreds of entries will again fill the streets of downtown Oklahoma City. A procession of entries representing nearly 100 nations, bands and tribes with men, women and children in full tribal regalia will parade the streets making the Red Earth Parade one of America&apos;s most unique. The Red Earth Art Market opens on Thursday with new evening hours from 6-10 pm featuring a special Awards Ceremony and an opening preview of the Art Market. The Festival continues Friday and Saturday from 10-7 pm. "We are excited about the Festival this year," said Dyke. "A 30 foot by 60 foot outdoor video board and hundreds of television monitors will capture every moment of the Festival so our guests will be able to witness every event and performance no matter where they are in the building." 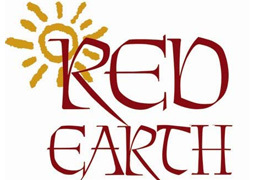 Red Earth, Inc. is a non-profit 501 (c) 3 with a mission to promote the rich traditions of American Indian arts and cultures through education, a premier festival, a museum and fine art markets. The Red Earth Museum is open free to the public Monday through Friday and Saturday by appointment at 6 Santa Fe Plaza next to the historic Skirvin Hilton Hotel in downtown Oklahoma City. The Red Earth Festival is funded in part by the Oklahoma Arts Council, National Endowment for the Arts, Allied Arts, Osage Nation Foundation, Oklahoma City Convention & Visitors Bureau, and the Oklahoma Tourism & Recreation Department. To learn more visit http://www.redearth.org/.